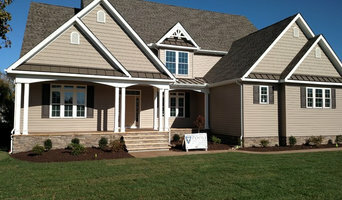 Poole Contracting is a custom home builder and home improvement contracting company located in Bishopville, Maryland serving Worcester County, MD and Lower Sussex County, DE. 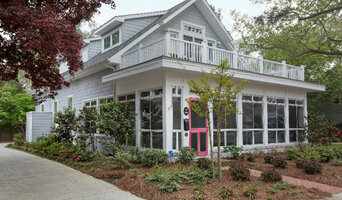 We are a full service home remodeling company serving Eastern Sussex County, DE. Our goal is to deliver high quality work in a timely, friendly manner utilizing advanced and efficient products. For over 10 years, Vasco Property Services, LLC. has provided service excellence in the Home Improvement industry throughout the Eastern Shore. We provide the best in all of your general contracting needs. We are able to take on a large variety of projects. No matter what the size or scope of your project, we are your solution. If you are looking to make improvements to your home, you have come to the right place! We are a locally-owned family business. Let us help you make your house a home! Paul J Elliott Custom Builder is a custom building company based in Millsboro, DE. Our team of experienced industry professionals is dedicated to helping our clients create the home of their dreams! Thank you for visiting our website. Please take a moment to browse the website and see all that we offer. Vasco Property Services is a full service residential and commercial construction company. For over 10 years, Vasco Property Services, LLC. has provided service excellence in the Home Improvement industry throughout the Eastern Shore. We understand that your construction project is more than just bricks and mortar – it’s your image. Our commitment to craftsmanship, budget-controlled pricing, and on-time delivery ensures a quality construction project as well as a satisfied owner. Allow us to remove the headaches and anxiety of doing home improvements. We provide you the finest quality care with personal attention. We want to touch your property one time, the only time you will call us back is for the next project. We believe in prompt service from start to finish. We want to be your one and only destination for all your home improvement, remodeling, and home renovation needs. Let us work within your budget while providing the best possible services with accurate pricing, using Top of the line products, and the highest quality of work. All of our products and services are Guaranteed. Our presence continues to grow on the Eastern Shore. We are pleased to serve Ocean City, Ocean Pines, Berlin, Salisbury, Rehoboth Beach, Bethany Beach, Delaware, the Eastern Shore of Maryland, Eastern Shore of Virginia, and all of Delmarva with your home improvement needs. If you have any questions we are happy to assist you. Call to schedule your on-site evaluation today!